Everything is measured through units. And there're multiple units to measure single thing. For example, temperature is measured in Celsius and Fahrenheit. We might have to convert one unit to other. This process is called as unit conversion. Numerous "Unit conversion" tools are available in the online now. 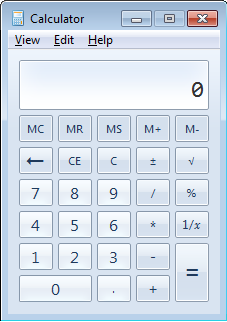 But if you're using Windows 7 or Windows 8 operating systems, you can perform unit conversion with bundled "Calculator" application. When you launch calcuator program, you'll get a basic version as below by deafult (on the left). 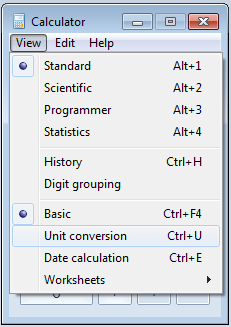 Choose "Unit conversion" from "View" menu. 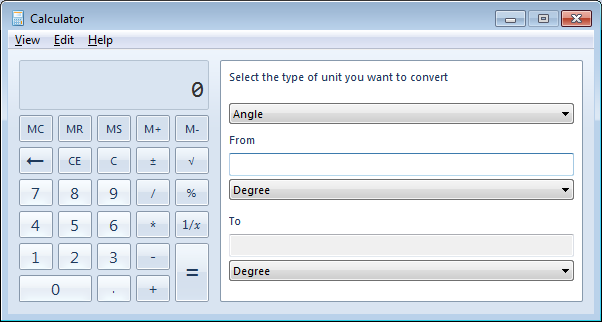 Choose the unit type and metric you would like to convert from and to. You don't need an addition applicaiton or web page to perform unit conversion if you're using Windows 7 or Windows 8.